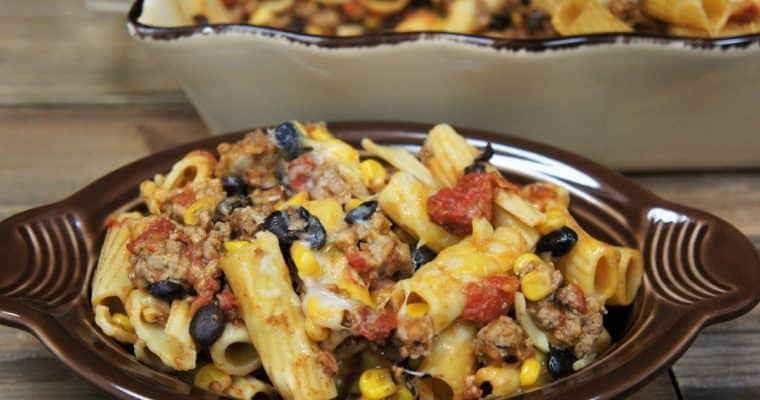 Now that we’re close to the kids going back to school we need quick and easy dinner recipes for busy nights. 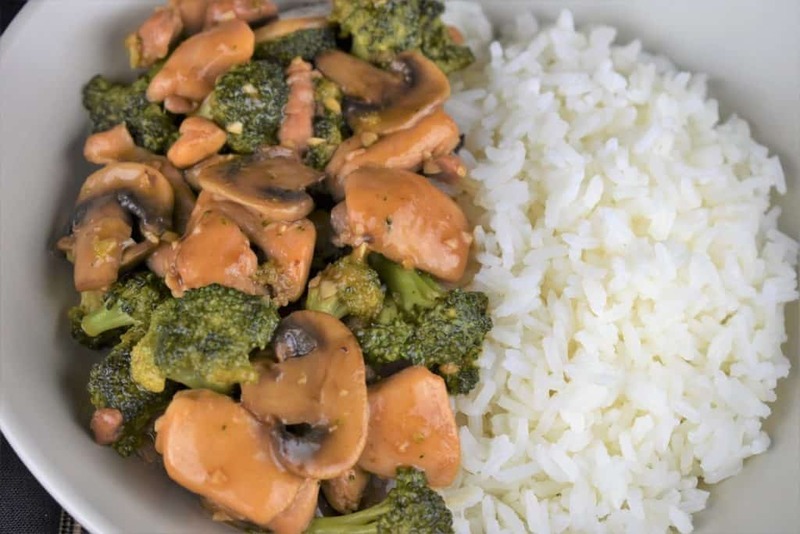 This chicken broccoli mushrooms stir fry, is just that, quick and easy! 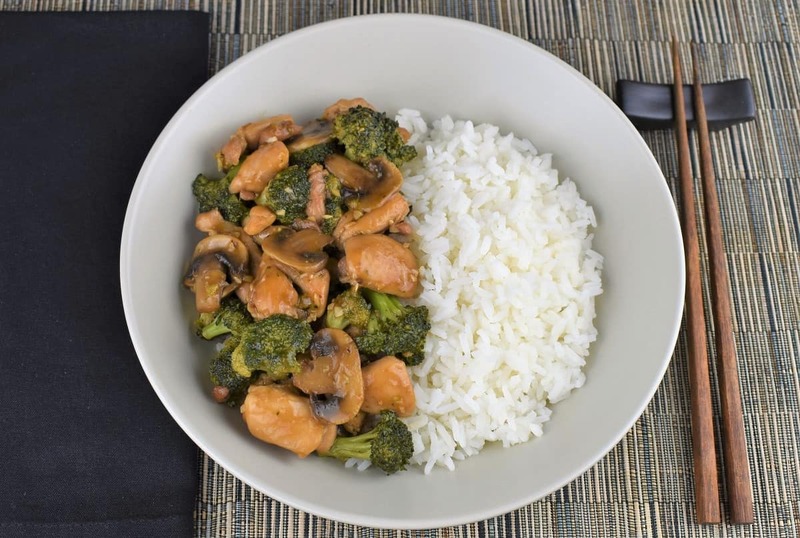 Boneless, skinless chicken thighs are cooked with mushrooms and broccoli in a delicious Asian inspired sauce. Chicken thighs are great because they don’t dry out like chicken breast does, and they have a ton of flavor. Here we serve the stir fry with jasmine rice, but noodles would be great too. Need more quick and easy recipes, try the beef version of this dish here, or this shrimp lo mein. Enjoy! It’s best to prepare all of the components for this dish before you start cooking. Things move quickly with a stir fry, having all of the ingredients ready to go ensures nothing burns or overcooks. If you’re serving the stir fry over rice or noodles, start them first so they’re ready when needed. Slice the chicken into bite sized strips or cubes, sprinkle with just a little bit of salt. 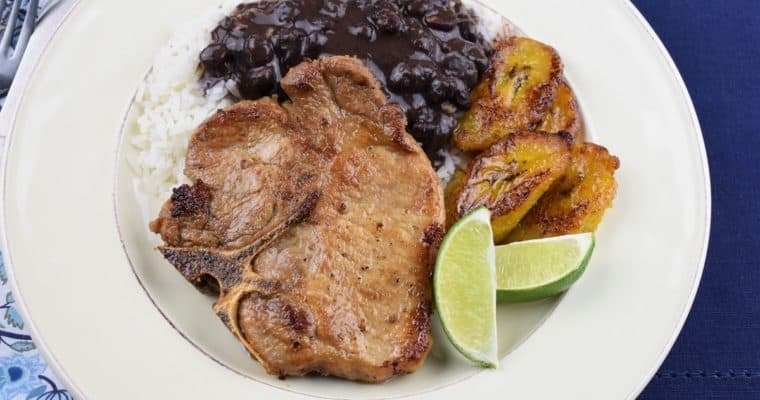 Use very little salt in this recipe since the soy sauce and hoisin sauce both contain salt. You can always add a little more at the end, if needed. Add the water and cornstarch to a medium bowl; stir well using a fork or small whisk. Add the soy sauce, hoisin sauce, brown sugar, garlic, and ginger to the bowl. Stir to combine well. As the sauce sits, the cornstarch will settle at the bottom so give it a good stir right before adding it to the stir fry. Slice the mushrooms but don’t slice them too thin. If they’re too thin they won’t hold their shape when cooked. Keeping them on the thick side will ensure you have beautiful mushroom pieces in your finished dish. Heat the oil in a large skillet or wok over high heat. When the oil is hot, but not smoking, add the chicken. Cook the chicken for 2-3 minutes until browned on all sides, stirring frequently. Lower the heat to medium and add the mushrooms to the skillet. Cook the mushrooms for 5 minutes, until the liquid starts to evaporate, stir frequently. Now, add the broccoli and the prepared sauce and stir to combine. As soon as the sauce starts to simmer, lower the heat to medium-low and cover. Cook for 10 minutes or until the broccoli is the desired tenderness and the chicken is cooked through. Stir occasionally. 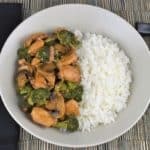 This chicken broccoli mushrooms stir fry is quick and easy! 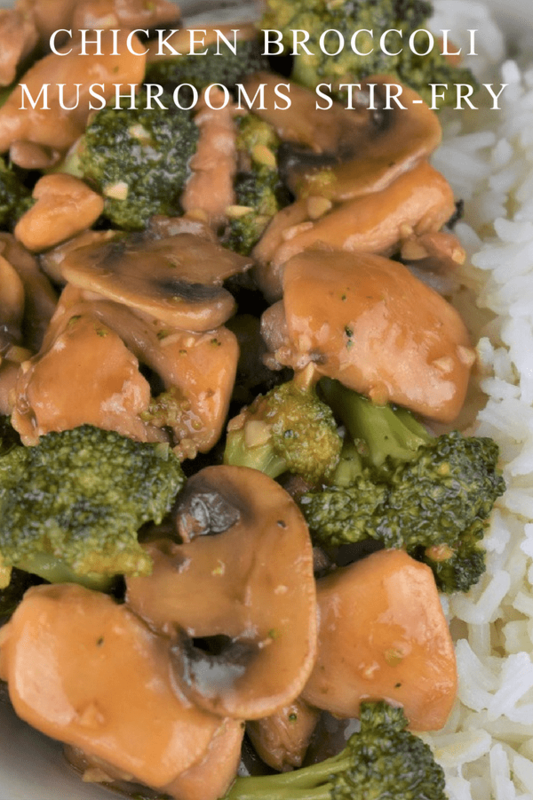 Boneless, skinless chicken thighs are cooked with mushrooms and broccoli in a delicious Asian inspired sauce. Slice the chicken into bite sized strips or cubes, sprinkle with just a little bit of salt. Add the water and cornstarch to a medium bowl; stir well using a fork or small whisk. Add the soy sauce, hoisin sauce, brown sugar, garlic, and ginger to the bowl. Stir to combine well. Give the sauce a good stir right before adding it to the stir fry. Slice the mushrooms but don’t slice them too thin. Lower the heat to medium and add the mushrooms to the skillet. Cook the mushrooms for 5 minutes, until the liquid starts to evaporate, stir frequently. Add the broccoli and the prepared sauce and stir to combine. As soon as the sauce starts to simmer, lower the heat to medium-low and cover. Cook for 10 minutes or until the broccoli is the desired tenderness and the chicken is cooked through. Stir occasionally. Serve immediately over jasmine rice or noodles. Use very little salt in this recipe since the soy sauce and hoisin sauce both contain salt. You can always add a little more at the end, if needed.